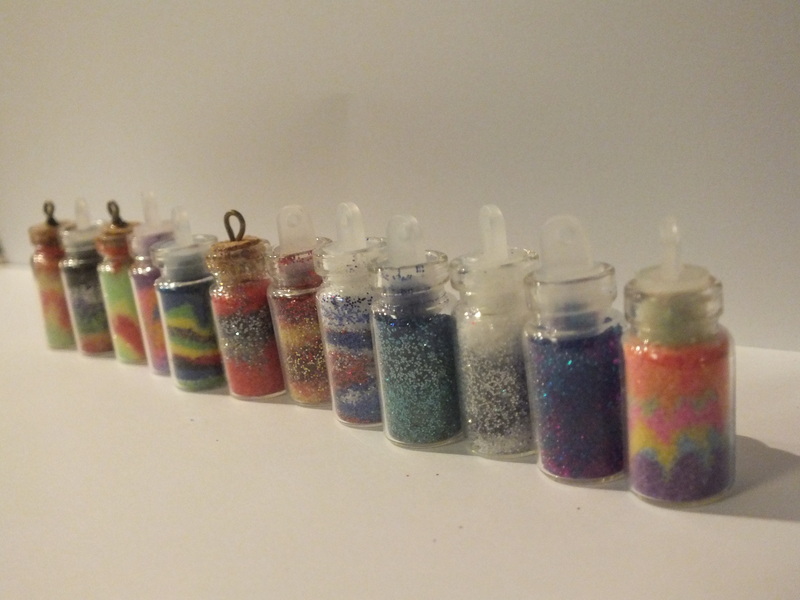 When I saw these little glass bottles at the Dollar Tree, I knew I had to use them for sand art. They were eight for a dollar. That’s only twelve and a half cents each! My friends and I had a great time making these. You don’t need many supplies and they are easy to make. 1. 8 mini bottles from Dollar Tree. 2. 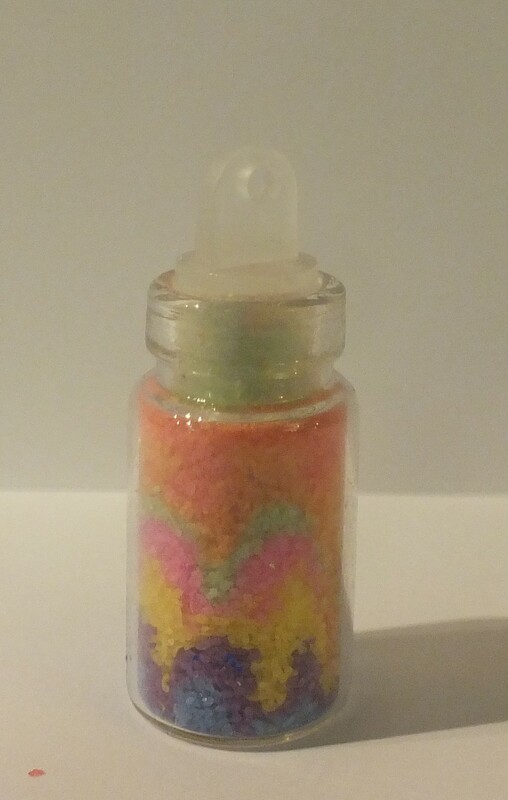 Colored sand from any sand art kit or fine glitter. We used both. 3. Wire for making the designs in the sand. 4. Crystal lacquer or good glue for sealing the bottles. 5. A funnel from a sand art kit or a small piece of paper rolled into a funnel shape. Give the bottle a more old fashioned look by cutting a small piece of cork and inserting a metal eye pin in the top. 1. Dump out original contents of bottle. 2. Place funnel in mouth of bottle. 2. Pour a small amount of sand or glitter in. 3. Repeat with a different color. 4. If you would like a design, use wire to poke down in the side of the bottle to create an indention in the sand. 5. Repeat steps 2 -4 until you have the layered look you want. Tip: pack the sand as tightly as possible or it will shift when the bottle moves. 6. Place cap or cork on the bottle and secure with glaze or glue. You can also try putting some glaze or glue over very top layer of sand. Enjoy looking at your sand art, or use some of the bottles to make jewelry! 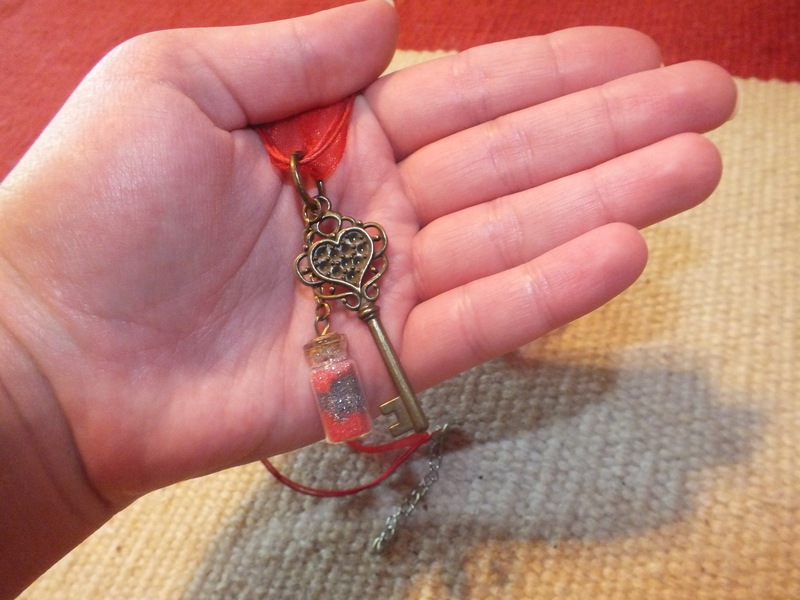 The main character of this book is a crafty tween. My mom wrote it. Check it out! Jan. 1, 2012 Scholastic.